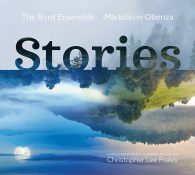 I am pleased to announce the coming March 2017 release of Stories, performed by the Byrd Ensemble, directed and produced by Markdavin Obenza. The album will be released on CD and available as digital downloads from on iTunes and Amazon. 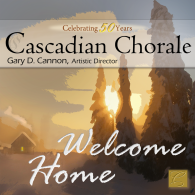 You will also be able to buy the CD from this website—thereby directly supporting this composer. 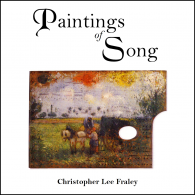 Recorded live at Fraley’s 2003 recital, Paintings of Song, is an idea born of the desire to paint images with music, intermixing art song with instrumental music, using the unique expressiveness of each to enhance the other. Over 50 minutes of music featuring Kevin Krentz (cello), Kwan Bin Park (violin), Karen Janes (string bass), Stuart Lutzenhiser (tenor), and others. Track List includes: String Quartet No. 2 (“Love Quartet”), Piano Trio No. 1 (“Fish Trio”), Eire’s Call (Tone Poem No. 3), Piano Preludes No. 1 and No. 4, The Crossing, Only You, Perceptions, A Thought for Your Penny. 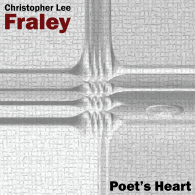 A 23-minute EP featuring Stuart Lutzenhiser (tenor) recorded in 1999, remastered in 2012. Includes: Only You, A Lonely Offering Never Ends, The Crossing, and String Quartet No. 1. Conversations with a Composer is an insightful exploration into the mind of a composer and respected composition teacher. It is also a delightful, easy-to-read, intriguing book for music lovers, wannabe composers, professional musicians, or newcomers to the appreciation of music.